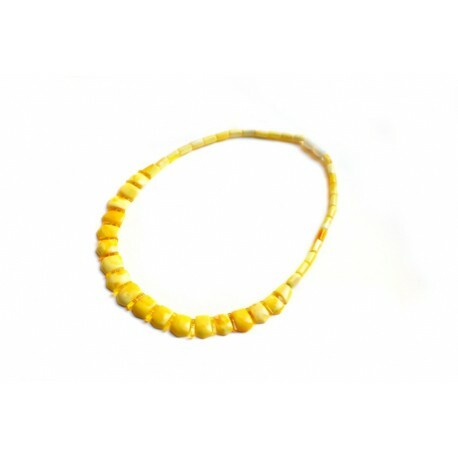 A classical amber necklace. A matted yellow color amber harmoniously goes with the beautifully fitted transparent lemon hue amber. Since the ancient times it is believed that the yellow amber has accumulated in itself the sunlight and solar energy. In Lithuania amber had been worn even by the pagan prophets who had not been ordained until they had found their amber amulets.